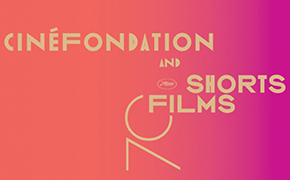 Short Film News (SFN)- The announcement of the 2017 Official Selection will begin with the short films Competition and the Cinéfondation Selection, in the run-up to the press conference for the 70th Festival de Cannes, to be held on Thursday April14th. Following their deliberations, the Cinéfondation and Short Films Jury, presided by Cristian Mungiu, will decide on the best films both from the Short Films Competition and the Cinéfondation. This year, the selection committee received 4,843 short films. The 2017 Short Films Competition comprises 9 films (8 works of fictions and 1 animation), from Finland, France, United Kingdom, Denmark, Greece, Iran, USA, Poland, China, Colombia and Sweden. These films are all in the running for the 2017 Short Film Palme d’or, to be awarded by Cristian Mungiu, President of the Jury, at the official award ceremony of the 70th Festival de Cannes on 28th May. To mark its 20th year, the Cinéfondation Selection has chosen 16 films (14 works of fiction and 2 animations), from among the 2,600 works submitted this year by film schools from all over the world. Fourteen countries from three continents are represented. Four of the films selected come from schools taking part for the first time. The three Cinéfondation prizes will be awarded at a ceremony preceding the screening of the prize-winning films on Friday 26th May in the Buñuel Theatre. Check out the full Short Films lineup HERE.